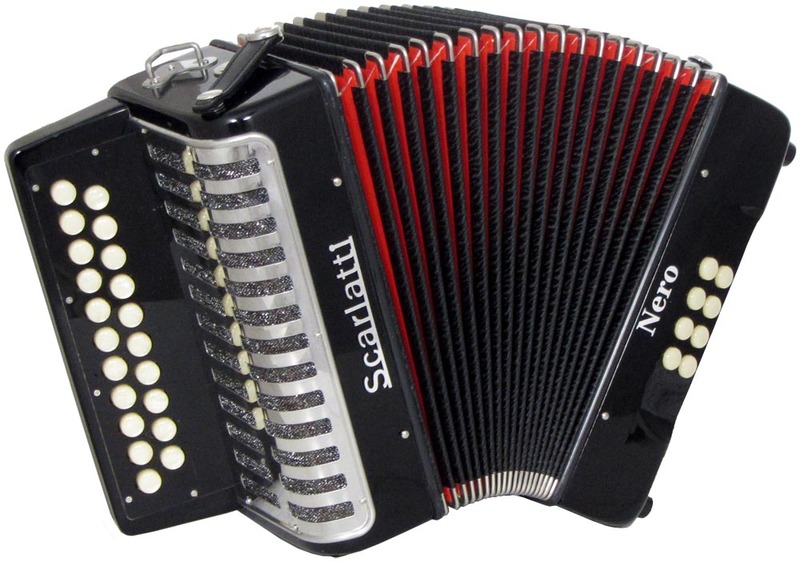 Scarlatti Accordions, Melodeons and Concertinas are made in China. They have good reeds, and the instruments are excellent value, although they are not finished to the standards of European makers. The Scarlatti range is ideal for beginners, and they are priced very attractively to enable you to take a chance and see if the instrument is for you. Although they are a beginner's instrument, they are of a much higher quality than the Chinese Accordions, melodeons and concertinas of the past, and will keep you going for some time!